Investment Executive editors have prepared this listing of upcoming regulatory deadlines of interest to financial advisors, with links to further information. Deadlines are listed by date and grouped by month, based on the calendar year. A changing selection of ongoing initiatives that may be of interest to advisors appears at the bottom of the calendar list, under the heading Bring Forward. The calendar will be updated weekly each Friday, with additions made in the current week flagged with the notation, New or Updated. Recent, past deadlines are retained for one month. New deadlines can be found in February, March, and Bring Forward. We welcome submissions to the calendar. Please email us at: pchisholm@investmentexecutive.com. The next update will be posted on Jan. 4, 2016. The Investment Industry Regulatory Organization of Canada received approval from the Canadian Securities Administrators for fees to finance new debt market oversight. Starting Nov. 1, IIROC’s new rule for debt transaction reporting takes effect, as does its new fee model. The Canadian Securities Administrators announced proposals to bolster transparency in Canadian fixed-income markets, including making all corporate debt trading data public by the end of 2017. Investment dealers will have to report debt security transactions to the Investment Industry Regulatory Organization of Canada starting Nov. 1, 2015. The Investment Industry Regulatory Organization of Canada proposed new guidance on clock synchronization requirements for marketplaces and dealers. Comments close. Investment dealers would be required to alert clients to their membership in the Investment Industry Regulatory Organization of Canada under proposals released Nov. 5. The proposals are out for a 30-day comment period. The Mutual Fund Dealers Association of Canada issued a consultation paper proposing rule amendments to establish proficiency requirements for fund dealer reps that market themselves as “financial planners.” Comments close. The Investment Industry Regulatory Organization of Canada pushed back the deadline for unwinding certain trustee, executor, and power of attorney arrangements under rules limiting personal financial dealings with clients. New deadline in force. The Financial Services Commission of Ontario should be merged with the Deposit Insurance Corp. of Ontario into a single regulatory agency, with an independent tribunal, according to a government review panel. Comments close. Five provinces and the Yukon published a revised draft of the uniform provincial securities law that would create the Co-operative Capital Markets regulator (CCMR). The aim is to have the CCMR running by the fall of 2016. Comments close. Members of the Canadian Securities Administrators issued parallel orders granting an extension to dealers from certain CRM2 requirements that were scheduled for July 15: they now have until December 31 to comply. The Ontario Securities Commission is seeking four new securities industry regulatory experts to sit on its Securities Advisory Committee (SAC). Their term begins in January. The Office of the Superintendent of Financial Institutions published the final version of the 2016 Minimum Continuing Capital and Surplus Requirements guideline for life insurance companies. The updated rules, which take effect on Jan. 1, 2016, make changes to insurer’s capital requirements that aim to improve regulatory transparency. New regulations would create new eligibility requirements for mortgage loans to qualify for mortgage loan insurance. In force. Large, systemically importantbanks in the U.S. must hold additional capital, or shrink their businesses,under new rules approved by the U.S. Federal Reserve Board. The Ontario Securities is proposing the adoption of a new whistleblower program that will pay up to $5 million for tips that generate significant enforcement action. Comments close. Six provincial regulators issued a notice indicating that the OM exemption will be introduced in Ontario and that the existing exemption in Alberta, Quebec, New Brunswick, Nova Scotia and Saskatchewan will be revised to strengthen investor protection. Ontario’s new exemption takes effect Jan. 13, 2016 while the revised exemptions in the other provinces kick in on April 30, 2016. Regulatory fees are on the way up for both registered firms and individual reps in Alberta under a proposed new fee schedule published by the Alberta Securities Commission. Comments on proposed increases close. New fees in force, Dec. 1, 2016. The Joint Committee of European Supervisory Authorities launched public consultations on two anti-money laundering and countering the financing of terrorism (AML/CFT) guidelines. Comments close. Securities regulators in Ontario, Quebec, Manitoba, New Brunswick and Nova Scotia published in final form a new rule that introduces a crowdfunding prospectus exemption. Pending ministerial approval, the new exemption takes effect. The Joint Committee of the European Supervisory Authorities, including banking, insurance and securities, has proposed new contents for retail disclosure documents, known as Key Information Documents (KIDs). The deadline for comments is Jan. 29, with KIDS in force Jan. 1, 2017. The European Securities and Markets Authority proposed rule changes designed to enhance the functionality provided by trade repositories. ESMA says that the current comparability of the data being reported is not adequate and ESMA’s access to those data isn’t good enough. Comments close. The Canadian Securities Administrators introduced new requirements for clearing agencies and formalizing their oversight arrangements to bolster the integrity and oversight of financial market infrastructure. Comments close. The Ontario Securities Commission published proposed amendments to the derivatives trade reporting regime that aim to reduce the compliance burden for certain market players. New rules in force July 29, 2016 may be affected. Comments on the proposals close. The U.S. Commodity Futures Trading Commission issued proposals aimed at improving cybersecurity safeguards for the automated systems used by infrastructure firms, such as derivatives clearing organizations, markets, swap execution facilities, and data repositories. Comments close. The International Organization of Securities Commissions and the Committee on Payments and Market Infrastructures released proposed guidance on cyber resilience for organizations that make up the financial market infrastructure (FMIs). Comments close. The U.K. Financial Conduct Authority proposed that insurers be required to publish the details of the previous year’s premiums on renewal notices that are sent to consumers. Comments close. The Financial Conduct Authority is consulting on forthcoming regulatory reforms in Europe that aim to bolster investor protection and reduce systemic risks. Comments close. The Canadian Securities Administrators has proposed a standardized methodology for assigning risk levels to mutual funds for use in the Fund Facts documents and for exchange-traded funds to use in ETF Facts documents. Comments close. The Mutual Fund Dealers Association of Canada published a bulletin contemplating a possible expansion of the cost and compensation reporting required under the second phase of the client relationship model (CRM2) reforms. Comments close. The Basel Committee on Banking Supervision published updates to the capital rules for large, global banks, which restores the use of external credit ratings, among other changes. Comments close. Securities regulators are turning to guidance, rather than new rules, to address concerns about firms systematically sending their retail order flow south of the border for execution in U.S. dark pools. Comments close. The Investment Industry Regulatory Organization of Canada issued a white paper that considers allowing investment dealer representatives to use personal corporations and allow firms to employ reps whose business is limited to trading mutual funds and exchange-traded funds. Comments close. Mutual fund dealers must deliver Fund Facts documents to investors who buy mutual funds before they buy the fund. The CSA announced rule changes doing away with paper-based filing for exempt-market reports. Certain filings, including offering memorandums and reports of exempt distribution, will have to be made in electronic format on SEDAR. The requirements do not include Ontario or British Columbia, which already have their own electronic filing systems for the exempt markets. New rules in force. Various final amendments to Schedule III of the regulations under the Pension Benefits Standards Act were published March 25, 2015. Amendments come into force. Final guidelines encouraging European issuers to publish more transparent, unbiased, comparable information on their financial performance was published by the European Securities andMarkets Authority. Guidelines in effect. Tougher whistleblower rules in U.K.
Financial firms in the U.K. will have to install “whistleblower champions” to encourage internal reporting of possible misconduct, under new rules introduced by the Financial Conduct Authority and the Prudential Regulation Authority (PRA). New rules in effect. Global policymakers delayed implementation of margin requirements for non-cleared over-the-counter (OTC) derivatives until the fall of 2016. Investment dealers have another nine months to unwind arrangements that put advisors in full control of the financial affairs of clients, either by serving as trustees, executors, or having powers of attorney (POAs). The original deadline was Dec. 13.
International Accounting Standards Board issues new loan loss provisions for banks using “expected-loss” approach. Changes come into force. Prior to the automatic international exchange of tax information beginning in 2018, Swiss banks are asking Canadian clients to disclose their holdings to the Canada Revenue Agency. If they have not done so by the end of the year, Swiss banks will liquidate the accounts and mail cheques to the account holders. For taxpayers that made an election under section 156 of the Excise Tax Act before January 1, 2015, the final deadline for filing Form RC 4616 is Dec. 31. These filing requirements are new. The Canada Revenue Agency released a revised Foreign Income Verification Statement, known as Form T1135, that now includes a simplified reporting regime for Canadians. New provisions dealing with life interest trusts come into force Jan. 1, 2016 and may have unintended consequences for testators and their estates. Tax officials released a letter addressing these concerns. The Supreme Court of British Columbia has ordered that $600,000 in assets held in RRSPs and tax-free savings accounts seized by Okanagan Court Bailiffs Inc. should go to the “director of maintenance enforcement” to collect child and spousal support arrears the original owner of the accounts, owed rather than to pay back other secured debts. The rules for elections under section of the Excise Tax Act dealing with payment of sales taxes between related corporations have been changed. In some cases, it may be necessary to make changes to tax years prior to 2015. The Canada Revenue Agency confirmed that only one estate can be created on the death of an individual, resolving confusion arising from new rules for testamentary trusts. The Canada Revenue Agency is warning taxpayers about telephone scams in which callers claim to be from the CRA. The taxpayer was required to produce the tax accrual working papers, even though the papers were apparently not required to complete a tax audit. The Canada Revenue Agency will invest approximately $10 million over the next five years to bolster efforts to detect and suppress terrorist financing activities in the charitable sector. The TCC has ruled that, when computing taxable income, a taxpayer could not value its foreign exchange option contracts on a mark to market basis. The CRA cancelled IT-90 and released a new Income Tax Folio outlining factors that relate to the definition of a partnership. Comments close August 5. A changing selection of ongoing initiatives which may be of interest to advisors. The Mutual Fund Dealers Association of Canada issued a bulletin that details the results of a compliance sweep earlier this year; it includes best practices guidance on DSC funds for seniors, among other matters. The North American Securities Administrators Association launched a new website that aims to help the fight against the financial exploitation of seniors. ServeOurSeniors.org. Investment fund managers may face additional guidance on properly managing liquidity, including stress testing these abilities, the International Organization of Securities Commissions said. The Investment Industry Regulatory Organization of Canada issued a revised version of its frequently asked questions document that clarifies firms’ obligations under the first phase of the Client Relationship Model rules, particularly in relation to suitability. Financial markets continue to face elevated risks heading into 2016, according to an evaluation by the European Securities and Markets Authority. A report by the research department of the International Organization of Securities Commissions indicates “harmful conduct” is the top investor-protection risk. That risk, it says, damages the markets and undermines investor confidence. A study into high frequency trading in Canada by the Investment Industry Regulatory Organization of Canada has not uncovered any issues that justify regulatory intervention. A project of the Financial Stability Board is studying how to uncover inherent vulnerabilities in the asset management industry that could represent global financial stability concerns. The policy-makers working on the Co-operative Capital Markets Regulator published a paper with their planned approach to the new regulatory framework for firms in participating jurisdictions, including British Columbia, New Brunswick, Ontario, Prince Edward Island, Saskatchewan and the Yukon territory. The Financial Stability Board will create a task force to develop disclosure standards for companies’ climate-related financial risks. Chaired by Michael Bloomberg, the task force will develop voluntary, climate-related financial risk disclosure standards. FSB chairman Mark Carney announced the task force. Canadian securities regulators are updating the agreement that sets out oversight arrangements for the Ombudsman for Banking Services and Investments. A paper published by the Canadian Council of Insurance Regulators spells out how the various provincial insurance regulators are increasing information sharing and supervisory co-operation. The U.S. Federal Reserve Board announced that it has approved a final rule to modify its requirements for the 2016 capital plan and stress testing cycle. The U.S. Commodity Futures Trading Commission proposed new rules, known as Regulation Automated Trading (Reg AT), intended to reduce potential risks arising from algorithmic trading activity. There is a 90-day comment period. The U.K. Financial Conduct Authority issued a consultation paper seeking feedback on how the regulator can support the development of new technology to help financial firms meet their regulatory obligations — an emerging sector that the FCA refers to as “RegTech”. The Nova Scotia government has introduced amendments to the Securities Act, which aim to improve investor protection. A new agreement between the investment industry’s self-regulatory organizations for Quebec and the rest of Canada means discipline imposed by one regulator will automatically generate a review, and possible enforcement action, by the other. Global banks will likely face higher capital requirements under proposed revisions to regulators’ approach to trading risk. The Basel Committee on Banking Supervision is aiming to finalize its approach by the end of the year. The U.K. Financial Conduct Authority announced the terms of reference for its planned asset management industry study, which aims to examine the impact of competition in the sector. The Ontario Securities Commission’s Investor Advisory Panel released a study examining investor risk assessment. The report finds that questionnaires used for this purpose are often flawed. The U.K. Financial Conduct Authority plans to establish a “regulatory sandbox” that would allow financial firms to test new products and services in the marketplace without going through the full regulatory approval process. It’s anticipated that the sandbox will be open for testing in the spring of 2016. The International Organization of Securities Commissions issued guidance on measures to ensure assets held in collective investment schemes, such as investment funds, are kept safe for clients. The North American Securities Administrators Association warned investors to be cautious when considering products that have recently been making news, such as marijuana-related investments, binary options and digital currency. The Basel-based Financial Stability Board submitted a proposal to the G20 that calls for the creation of an industry-led disclosure task force on climate-related risks, the FSB announced on Monday. The Financial Stability Board issued its final standard that sets Total Loss-Absorbing Capacity requirements for global banks. The measure aims to further guard against taxpayer bailouts, in the wake of the financial crisis. The U.S. Federal Financial Institutions Examination Council, which sets standards for the federal examination of financial institutions, issued a statement alerting financial institutions to “the increasing frequency and severity” of cyber attacks involving extortion. The Basel-based Financial Stability Board announced the latest list of global systemically important banks (G-SIBs), which includes 30 of the world’s biggest banks. New form of crowdfunding approved in U.S.
A new form of crowdfunding has been approved in the U.S. that will allow startups to raise money by selling stock to Main Street investors. 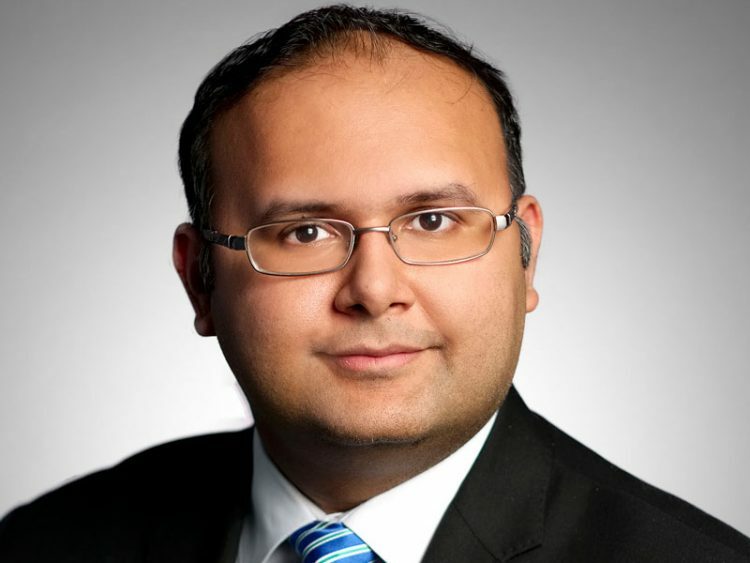 The Ontario Securities Commission announced its rebranded Investor Office, which will spearhead the commission’s efforts at retail investor protection, education, and outreach. A new report from the Canadian Securities Administrators appears to confirm the theory that mutual fund commissions influence mutual fund sales and impact investors’ returns. Fraudulent stock promotions are using popular messaging apps, such as WhasApp, to carry out pump-and-dump schemes, nine Canadian securities regulators warn. The warnings follow similar U.S. action. The U.S. Securities and Exchange Commission provided aggregate statistics and trends on the private fund industry, including hedge funds. Most of the data is being made public for the first time. The Ontario Securities Commission announced that, beginning in October, it will start regular reporting of deals that raise capital in the exempt market. The U.K. Treasury has introduced legislation to extend the principle of regulators’ personal responsibility throughout the financial industry, along with other reforms. The British Columbia Securities Commission (BCSC) reported that concerns about the impact of high-frequency trading (HFT) on the venture market are not supported by data. The U.S. Financial Industry Regulatory Authority will publish data on all equity volume executed over-the-counter by FINRA members, in addition to the alternative trading system volume it already publishes. The International Organization of Securities Commissions intends to develop guidance on crowdfunding, and to continue examining the financial stability risks posed by the asset management industry. The global financial industry has made strides in enhancing the integrity of the foreign exchange market, but there is still room for improvement, particularly among the market’s smaller players, says the Financial Stability Board in a new report. The North American Securities Administrators Association proposes a model act to address issues faced by broker-dealers and investment advisors when they suspect financial exploitation of seniors and other vulnerable adults. There is a 30 day comment period. The U.S. Financial Industry Regulatory Authority approved a rulemaking proposal allowing a brokerage firm to place a temporary hold on a disbursement of funds or securities in cases where the firm reasonably believes that financial exploitation, particularly of seniors, may be occurring. FINRA will issue a notice seeking comment within the next few weeks. Canadian securities regulators released the results of their “mystery shop” exercise. Deficiencies were found in several areas: regulators asked industry members to review the results and whether their firms could benefit from changes to their own practices. The International Organization of Securities Commissions published a report setting out best practices for investor education. The report focuses on the challenge of educating investors aboutinvestment risk. Howard Weston, vice-chair of the IOSCO board and chairman of the OSC, cited the report. The U.K. Financial Services Consumer Panel, a consumer advocacy group, called for a simple rating system by the U.K. Financial Conduct Authority to help consumers decide which financial services firms would be likely to treat them well. The Investment Industry Regulatory Organization of Canada called on governments to give IIROC greater powers to collect fines from securities violators who leave the industry. A new report from the International Organization of Securities Commissions calls for better alignment of incentives between issuers in the securitization market and investors’ interests. The problem of issuers not having skin in the game arose after the 2008 financial crisis. The Mutual Fund Dealers Association of Canada published a revised frequently asked questions document providing guidance to fund dealers on CRM2 requirements for reporting compensation to clients. Canadian exchanges allowed access in the U.S. The U.S. Commodity Futures Trading Commission ruled that ICE Futures Canada, Inc. and Montreal Exchange Inc. can provide U.S.-based firms with direct access to their trading systems. The U.S. Financial Industry Regulatory Authority re-issued an investor that explains market risk to nervous investors. The Investment Industry Regulatory Organization of Canada published final guidance requiring trading venues, including dark pools, to adopt price thresholds to prevent excessively violent trading events. The guidance took effect Aug. 25. British regulators published rules to raise the standards of behaviour of foreign banks that operate in the U.K. Among other changes, senior managers will be held accountable. Final rules will be published later this year. Banks’ internal capital planning efforts are getting better, but need to keep improving, says The Office of the Superintendent of Financial Institutions (OSFI) in a letter. Aug. 4 FCA Financial advice review by U.K. The Financial Services Commission of Ontario released the Checklist on Detecting and Preventing Fraud to licensed mortgage brokerages, administrators, brokers and agents in July. The new checklist is aimed at detecting and preventing fraud. New guidance from British regulators aims to help firms ensure that a subtle focus on sales does not create excess pressure on frontline staff that leads to consumer harm. The Investment Funds Institute of Canada (IFIC) on Friday released the latest update to its voluntary guidelines for fund managers that aim to improve their assessment and disclosure of the historic volatility risk of their funds to clients on a consistent basis. More than one-fifth of continuous disclosure (CD) reviews that Canadian regulators carried out last year resulted in issuers re-filing their disclosure, the Canadian Securities Administrators (CSA) announced on Thursday. The Ontario Securities Commission intends to publish the OM exemption and crowdfunding regime in final form and deliver the rules to the Minister of Finance this fall. Investment funds whose sponsors want to call them index funds must meet two conditions, the Ontario Securities Commission says: an absence of discretion; and transparency of the index. Removal of the term may be required. The Basel Committee on Banking Supervision issued revised principles for the safe functioning of banks, especially risk management, strong boards and board committees. The Investment Industry Regulatory Organization of Canada is reviewing its strategic direction. It is seeking public feedback. Industry Canada released new guidelines to help firms when they report to clients that their personal information has been shared with a government agency. Investment dealers will be reviewed for compliance with the new rules designed to improve transparency in the over-the-counter derivatives market. 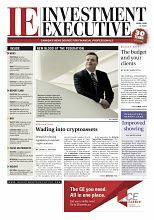 The Canadian Securities Administrators say some exempt-market issuers are not properly disclosing the fees and commissions on their offerings, and are relying on exemptions that are not available in all provinces, among other failings. Fund managers who deal in illiquid securities need to stress-test their portfolios for liquidity concerns, fair value securities that are rarely traded and disclose all of this to investors, the Ontario Securities Commission says. Securities firms are allowed greater flexibility in flagging orders from insiders, under new guidance issued by the Investment Industry Regulatory Organization of Canada. The Office of the Privacy Commissioner of Canada published long-awaited amendments to the Personal Information Protection and Electronic Documents Act; the changes are known as the Digital Privacy Act. The OPC also issued “Interpretation Bulletin – Safeguards” to provide guidance on complying with statutory obligations to protect personal information. Canadian businesses planning to operate a peer-to-peer lending website would do well to speak with the Ontario Securities Commission first before opening up shop. The Ontario Securities Commission set out its priorities for the next two years; these include consideration of a best interests duty and formation of a national regulator. The European Securities and Markets Authority published its strategy for 2016-20. It sets out its planned evolution into a new phase of operations for the regulator. Commissions-based compensation creates enough of a policy problem to justify regulatory action, says new research from the Canadian Securities Administrators. The U.S. securities industry proposed a best interests standard for U.S. broker-dealers as an alternative to the fiduciary standard that was put forward by the U.S. Department of Laborearlier this year. The BSC 2015 Compliance Report Card lists top five deficiencies found at B.C.-based portfolio managers, investment fund managers, and exempt market dealers this past year. The Ontario Securities Commission established an arrangement with the Office of the Superintendent of Financial Institutions for the big six banks to report certain information about their derivatives activity to OSFI, which will, in turn, pass it along to the OSC. Capital requirements for advisory firms in U.K.
British regulators are looking to follow through on new capital requirements for advisory firms that were put on hold amid changes to compensation structures and advisor proficiency requirements. Imposing a best interest standard on U.S. brokers is the way to go, but proposals put forth earlier this year by the U.S. Department of Labor are not the way to do it, says Richard Ketchum, chairman and CEO of U.S. self-regulatory organization (SRO), the Financial Industry Regulatory Authority (FINRA). The Financial Services Commission of Ontario is embarking on in-depth, on-site reviews of life insurance agents to gauge their compliance with industry regulations and best practices. The reviews will begin in June and will be both random and targeted. The U.S. Securities and Exchange Commission proposed new rules to modernize the reporting and disclosure of information by mutual funds, exchange-traded funds and other registered investment funds. On publication the proposals will be out for a 60 day comment period. Moody’s Investors Service hasbegun offering private ratings of infrastructure and project finance debt for investors. The Bank for International Settlements, the European Central Bank, and the International Monetary Fund released a handbook on securities stats to improve the collection of data on securities designed to harmonize the presentation of these statistics. The Investment Industry Association of Canada is planning to provide small Canadian brokerage firms with free access to real-time information on cyber attacks as a way of increasing industry preparedness. 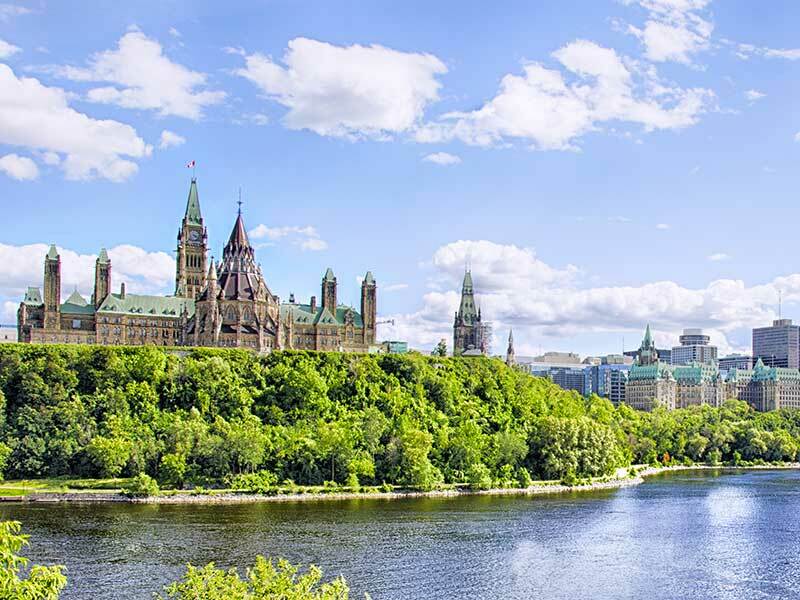 Quebec’s Autorité des marches financiers (AMF) has signed onto the information sharing agreement among global insurance regulators, which aims to improve supervision and enhance consumer protection. New president and CEO of the Investment Industry Regulatory Organization of Canada, Andrew Kriegler saidIIROC got it right on amendments to curb dark trading. He also flagged other areas for discussion. The Autorité des marchés financiers (AMF) urged Quebec investors to exercise caution given the recent rise in suspicious schemes by unregistered foreign companies encouraging them to invest in binary options via on-line trading platforms. The Securities and Exchange Commission says U.S. markets will experiment with a plan to enhance trading in smaller companies by widening their trading spreads, starting in spring 2016. The Mutual Fund Dealers Association of Canada is focusing its efforts on cases involving vulnerable clients. The Senior Supervisors Group — regulators from Canada, the U.S., Japan, the U.K. and Europe —reported on the risks of algorithmic trading, including high-frequency trading (HFT). A primary concern is whether risks have outpaced controls. The Canadian Securities Administrators published new guidance that sets best practices for the firms that provide voting recommendations to institutional investors on a range of issues that appear on corporate proxies. The Investment Industry Regulatory Organization of Canada priorities for the year ahead include: brokerage firms can expect a review of their approach to conflicts of interest; an examination of their use of social media; and the results of a recent mystery shopping exercise. The Ontario Securities Commission issued a report, The Canadian Fixed Income Market Report, concluding that publicly available market data is limited and direct retail participation in the market is low. A new advisory from the North American Securities Administrators Association aims to help raise investor awareness about fees charged by broker-dealer firms for account services and maintenance. To help firms gear up for thefinal implementation of various new disclosure requirements as part of the Client Relationship Model reforms, the Mutual Fund Dealers Association of Canada issued a notice detailing its responses to frequently asked implementation questions. Several provincial securitiesregulators have granted relief to allow junior issuers to be listed on both the TSX Venture Exchange (TSXV) and the new Santiago Venture Market. Order takes effect. The Mutual Fund Dealers Association is looking for representatives from fund dealer firms to participate in a ‘seniors consultation group’, being formed to provide MFDA staff with input from the industry. Fund managers must ensure that assets posted as collateral in derivatives transactions are only held as collateral, and are not sold. The direction is included with other issues in the most recent edition of the newsletter from the Investment Funds and Structured Products branch of the Ontario Securities Commission. The Investment Funds Institute of Canada produced a new checklist to help dealers prepare for Client Relationship Model Phase 2 (CRM2) disclosure rules coming into effect at the end of 2015. The Financial Planning Standards Council (FPSC), which administers the CFP designation, and the Institut québécois de planification financière (IQPF), which administers the F.Pl. designation in Quebec, have agreed on common ethical and practice standards for planners. The Canadian Securities Administrators will exempt U.S. broker-dealers and U.S. advisers from Canadian registration requirements as long as they are only servicing U.S. clients, and are subject to the oversight of U.S. regulators. The International Organization of Securities Commissions is revising its code for credit rating agencies to strengthen the code in areas such as managing conflicts of interest, transparency, and safeguarding non-public information. National securities regulators are monitoring the trend of firms refusing compensation recommendations from the Ombudsman for Banking Services and Investments. It will be monitoring these refusals. Recent speech by Superintendent Jeremy Rudin includes observations on stress testing for Canadian banks, an initiative on loss-absorbency requirements and minimum capital standards for insurers. The UK Financial Conduct Authority issued guidance on financial promotions over social media, such as Twitter and Facebook. It stresses all communications (including financial promotions) must be fair, clear and not misleading. Global regulators launched a review of stress testing by central counterparties (CCPs). The International Organization of Securities Commissions and the Committee on Payments and Market Infrastructures are reviewing stress testing by CCPs, which are must show they can manage credit and liquidity risks in a wide range of hypothetical scenarios. Fundamental flaws in Canada’sinvestor protection regime continue to unaddressed by regulators, according to an Ontario Securities Commission advisory panel. The Canadian Securities Administrators warned investors to exercise caution when considering an investment in binary options, which are essentially “bets” on how a particular underlying asset will perform in a limited amount of time. Many are based overseas and not registered to conduct business in Canada. New research from the UK Financial Conduct Authority suggests more needs to be done to ensure consumers aren’t exploited by structured products. The report says consumers overestimated the expected returns on structured products, such as index-linked deposits, on average, by almost 10% over five years. The Financial Stability Board and the International Organization of Securities Commissions proposed methodologies for identifying the financial services firms — other than banks and insurers — considered systemically important financial services institutions. FSB chairman Mark Carney said the proposals are an important step in addressing the ‘too big to fail’ issues raised by the financial crisis. The Canadian Securities Administrators will publish proposals later this spring, or early summer, mandating a new disclosure document for ETFs, modelled on the Fund Facts documents in use by mutual funds. New York state proposes the Financial Frauds Whistleblower Act to reward employees who report on illegal activity in the banking, insurance, securities, and financial services industries. The International Organization of Securities Commissions and the Committee on Payments and Market Infrastructures published more quantitative disclosure standards for central counterparties. The insurance industry is developing a new database to aggregate information that insurers and MGAs need for advisor screening and compliance monitoring responsibilities, including licensing and errors and omissions (E&O) insurance details. In its latest annual report, the Ombudsman for Banking Services and Investments says it is still concerned about firms refusing its recommendations and that client acceptance of ‘low-ball’ settlements is an emerging. Key priorities include new proficiency standards for fund dealers who are able to trade exchange traded funds, seniors, fee arrangements and pre-trade disclosure. An update on plans for a new regime for alternative investments was released by the Canadian Securities Administrators. Regulators anticipate releasing proposals for a new regime for these funds by the end of 2015. The Investment Industry Regulatory Organization of Canada has added content to existing courses for institutional advisors instead of creating new courses. The Futures Infrastructure Association published recommendations for improving the efficiency of the new clearing infrastructure that has emerged for the OTC derivatives market. The Canadian Securities Administrators will establish a new, uniform method for reporting mutual fund risks for use in Fund Facts documents. This will replace the discretion currently given to fund managers. The new method is expected later this year. The OSC published a staff notice on disclosure of related party transactions, following random reviews of 100 companies. The notice says half of companies should make changes to their disclosure practices. Many disclosures were described as too generic. The Canadian Securities Administrators reported on its review of the proxy voting process and plans for reform, to improve vote counting. It includes five required improvements, to be implemented in 2016 proxy voting season. The North American SecuritiesAdministrators Association, which includes Canadian securities commissions,called on investors to press firms for more information about protection of client information. The Basel Committee on Banking Supervision issued the final version of revised disclosure standards under the new Basel III capital adequacy regime. The higher standards aim to allow the market to more easily compare banks’ disclosures of their risk-weighted assets. The International Organization of Securities Commissions published a final report that sets out nine standards aimed at mitigating the risks in the non-centrally cleared OTC derivatives markets. Sales practices, suitability, and fee structures relating to retail investors will be top priorities for the U.S. Securities and Exchange Commission in 2015. Estate trustees in Ontario will be required to report much more detailed information about the value of assets in an estate. The new legislation came into force at the beginning of the year. Brokerage firms need to do a better job of putting clients’ interests first, U.S. regulators say. The U.S. Financial Industry Regulatory Authority published its priorities for the coming exam cycle, saying it will focus on sales practices and market conduct issues that are serious risks to both investors and market integrity. The comments submitted on the proposed legislation to create a cooperative capital markets regulator between five provinces and the federal government are available. The Investment Industry Regulatory Organization of Canada published revised guidance for dealers on the elements of due diligence. The Investment Industry Regulatory Organization of Canada published three of the papers it has commissioned on high frequency trading. IIROC has invited comment on the papers. The Ontario Securities Commission says investment funds meant for fee-based accounts should not carry trailerfees. Trailers in fee-based accounts are dual compensation and can mislead clients, it says. To fight fraud and increase investor confidence, the Ontario Securities Commission signed a deal with the Competition Bureau to facilitate cooperation between the agencies. Many of the top threats facing investors involve new products in classic schemes. The report aims to increase transparency relating to the MFDA’s fine collection rate. It will be updated quarterly. The goal is to provide tools to assist registrants with maintaining effective compliance. The Mutual Fund Dealers Association of Canada launched an investor education section on its website. The goals of the Association of Mortgage Investment Professionals are to better protect investors, set higher industry standards, and provide mortgage practitioners with greater education and certifications. Securities regulators caution that they are finding notable differences in the disclosure that firms are providing to clients about their processes for assessing suitability and for managing conflicts of interest. The Canadian Council of Insurance Regulators published its new strategic plan for 2014 through 2017. It highlights an increased focus on consumer protection, including the potential for regulatory arbitrage. The U.S. self-regulatory organizations and exchanges have filed a plan for the creation of a new consolidated audit trail (CAT) system. National U.S. exchanges and the Financial Industry Regulatory Authority, Inc. (FINRA) filed a plan for creation, maintenance and implementation of the CAT system and central repository with the U.S. Securities and Exchange Commission (SEC). The OSC released a comprehensive report on a wide range of emerging issues, including enhancing the initial registration process and tying it to compliance, its stance on “robo advice” models, the CSA’s consideration of a best interest statutory test for advisors. OSFI released a revised minimum capital test guideline for P&C insurers, which updates the capital regime for the sector. The guideline, which takes effect Jan. 1, 2015, updates the risk factors and margins that go into firms’ capital calculations, and revises the definition of available capital. The new rules are to be phased in over three years. The Joint Forum — the Basel Committee on Banking Supervision, the International Organization of Securities Commissions and the International Association of Insurance Supervisors — issued a report detailing a survey of regulators from various countries (including Canada). The survey found both progress since 2011 and gaps in regulatory supervision. It plans to revisit the issues and gaps in a year’s time. The U.S. Securities and Exchange Commission will adopt several new requirements. They deal with internal controls, conflicts of interest, the disclosure of credit rating performance statistics, procedures to protect the integrity and transparency of rating methodologies, the transparency of credit ratings, and proficiency standards for credit analysts. Some of the amendments will become effective 60 days after publication in the Federal Register, others take effect after nine months, and certain requirements will be implemented in 2015. The board level committee includes Deborah Gillis, counsel at the N.B. Financial and Consumer Services Commission, securities division. The issue will be discussed at NASAA’s conference in September in Indianapolis. The Supreme Court of Canada granted leave to appeal in three securities class action cases dealing with the three-year limitation period for launching statutory secondary market securities class action claims in Ontario. The Ontario government will require employers to insure the LTD benefits of its employees, to ensure protection of these benefits. The measures are contained in the Ontario budget and will come into force on a future date. Three new tax measures of note in the JUly 24 budget deal with a new personal tax on highincome taxpayers, changes to the small business deduction and a new anti-avoidance rule under the Land Transfer Tax Act. Obligations on Canadian banks to disclose, based on Basel III capital regime, begins Jan. 1, 2015. Mortgage insurers to follow the latest capital rules for property and casualty (P&C) insurers while specific rules for mortgage insurers are being developed. Requirements take effect in first reporting period in 2015. Policy advisory for federally regulated defined benefit pension plans considering longevity insurance or longevity swap contracts to hedge longevity risk. On June 2, the regulator announced the final code of conduct for banks on the submission panel for the interest rate benchmark known as the Canadian Dollar Offered Rate (CDOR). The voluntary code was developed by the submitting banks, along with IIROC and the Bank of Canada. The Office of the Superintendent of Financial Institutions issued the final version of an advisory, outlining proposed requirements to notify OSFI about changes in the boardroom and executive suite at the major banks, life insurers, and other federally regulated firms. The Association of Canadian Pension Management (ACPM) has released a discussion paper, which argues for a new funding regime to preserve Defined Benefit (DB) pension plans. The ACPM paper explains why funding requirements for private sector single employer DB pension plans should be changed, why solvency funding no longer works and why a new funding model is needed. The survey of 18 fund firms, including exchange traded funds and closed end funds, was conducted last year. U.S. banking regulators announced revisions to the capital rules that apply to the biggest banks on Tuesday in an effort to improve consistency with the global capital standards. Rules in force. The Canadian Securities Administrators published proposed amendments that would introduce a new harmonized report for exempt market filings, to reduce the compliance burden. Comments close. The Investment Industry Regulatory Organization of Canada will host a public forum on high frequency trading in collaboration with the Capital Markets Institute at the Rotman School of Management. A revised version of the General guide to account opening, to help banks comply with Financial Action Task Force (FATF) standards, was published for comment by the Basel Committee on Banking Supervision. Comments close. The Mutual Fund Dealers Association of Canada announced its second National Seniors Summit, targeted at the supervisory personnel of mutual fund dealers. It will focus on the growing crop of senior investors. The Office of the Superintendent of Financial Institutions is proposing revisions to the Minimum Continuing Capital and Surplus Requirements Guideline for federally-regulated life insurers. Comments close. The federal government will strengthen anti-money laundering and terrorist financing laws by upping reporting requirements, closing gaps and enhancingcompliance. The proposals are out for a 60-day comment period. The Canadian Securities Administrators are cutting back on the obligation to layer on additional made-in-Canada disclosure on top of foreign private placements when they are being sold to sophisticated investors in Canada. Amendments in force. British Columbia is reviewing its financial sector legislation to ensure that consumer protection and solvency regulation are adequate. Comments on the consultation paper close. The Mutual Fund Dealers Association of Canada released details of a proposed proficiency standard for reps who sell ETFs. Comments close. The Canadian Securities Administrators published for comment its proposed requirements for a new simplified disclosure document for ETFs. The initiative is similar to Fund Facts. Comments close. The U.S. Financial Industry Regulatory Authority is undertaking a review of U.S. broker-dealers’ efforts to manage conflicts of interest, particularly in the area of compensation practices. Broker-dealers have until mid-September to respond to questions. The Mutual Fund Dealers Association of Canada put out a discussion paper outlining its vision for a proposed continuing education requirement for mutual fund dealer representatives. Comments close. The International Organization of Securities Commissions and the Committee on Payments and Market Infrastructures (CPMI) published a consultation report on guidance for harmonizing data reported on the OTC derivatives markets. Comments close. An expert committee is seeking feedback on the regulation of financial planning and advice in Ontario. Comments close. Rules proposed by the Canadian Securities Administrators would mandate exempt market issuers to submit certain filings through the System for Electronic Document Analysis and Retrieval (SEDAR) instead. Comments close. A new FINRA rule consolidates the requirements in the existing NASD and NYSE rules for firms to carry out background checks on prospective registrants. The rule, in effect July 1, largely follows existing rules, but introduces new requirements related to firms’ obligations to verify information on registration applications. Checks must include a search of public records, including criminal records, bankruptcy records, civil litigation and judgments. The Canadian Securities Administrators (CSA) is implementing amendments to the specific disclosure requirements for companies engaged in the oil and gas business. The changes aim to improve and clarify disclosure. The Ontario Securities Commission is looking for new members to sit on its Market Structure Advisory Committee. Deadline for applications. The Nova Scotia Securities Commission proposes to harmonize its OM exemption requirements with the requirements of several other jurisdictions. Comments close. The Ontario Securities Commission is proposing to adopt an expedited rule that would allow U.S. brokers and advisers to avoid registration as long as they are only dealing with U.S. clients. In force. The International Organization of Securities Commissions published 13 proposed practices for large firms to consider when implementing internal policies for assessing credit risk. Comments close. European securities, banking and insurance regulators launched a second round of consultations on margin requirements for over-the-counter derivatives that aren’t cleared through a central counterparty. Comments close. U.S. regulators are launching an outreach program for exchanges, alternative trading systems, market data providers and clearing firms, to help compliance with new rules to shore up the trading technology infrastructure. The programs will be held in New York and Chicago. New proposals would make it easier for large U.S. banks to meet their liquidity requirements in times of stress. Comments close. The Ontario Securities Commission published its 2015-2016 Draft Statement of Priorities, which puts retail investor protection at the top of the list. Topics include a new fiduciary duty and a decision on embedded commissions for mutual funds. Comments close. The new requirements take effect June 1, 2015. The International Organization of Securities Commissions published two consultation papers calling on dealers and trading venues to ensure they re prepared for a wide range of catastrophic events, including cyberattacks. Comments close. A new prospectus exemption was proposed by three securities regulators, to allow retail investors to participate in private placements if they receive suitability advice from an investmentdealer. Comments close. The Canadian Securities Administrators has proposed expanding the passport system to two new areas — certain cease trade orders, and applications to stop being a reporting issuer. Comments close. The Canadian Securities Administrators published a series of proposed changes to the rules governing takeover bids that would give companies and shareholders more time to respond. Comments close. The Canadian Securities Administrators is adopting certain rule changes to streamline the disclosure requiredfrom venture issuers. The enforcement branch of the Ontario Securities Commission will begin a mediation pilot program that allows respondents to engage a third party mediator to resolve pending proceedings. Review of all applications will be performed by IIROC staff in Toronto starting May 1. The Ontario Securities Commission issued a paper on a new whistleblower program that would reward tipsters for alerting regulators to wrongdoing. Comments close. The Canadian Securities Administrators introduced new curbs on the use of certain prospectus exemptions. In force. The Ontario Securities Commission adopted a new prospectus exemption for friends, family and business associates, similar to those available in other jurisdictions. Comes into effect. The Canadian Securities Administrators proposes new central clearing rules for certain transactions in the over-the-counter derivatives markets. The aim is to reduce systemic risk. Comments close on the proposals. Several provincial securities commissions (not including Ontario) are introducing the so-called startup crowdfunding exemption that was proposed last year. In effect. Brokers winding up their businesses will face reduced regulatory fees under a rule change proposed by the Investment Industry Regulatory Organization of Canada. Comments close. Global securities regulators and investor education groups will be meeting in Malaysia to examine ongoing challenges of delivering effective investor education. The U.S. Securities and Exchange Commission adopted final rules that update and expand an existing exemption for smaller issuers, known as Regulation A. In force. The Investment Industry Regulatory Organization of Canada republished revised reforms for margin requirements, including agency cash and security borrowing and lending arrangements. Comments close. The Investment Industry Regulatory Organization of Canada issued proposed guidance to prevent “flash crash” type market volatility. Comments close. Various final amendments to Schedule III of the regulations under the Pension Benefits Standards Act were published March 25, 2015. Some changes dealing with member communications come into force now, with major changes in force next year. (See also, July 1, 2016). Amendments to Forms 14A, 14B and Form 5 dealing with issuers interlisted on other markets, purchases through private agreements and purchases on the TSX under the block purchase exemption. In force. The U.K. Financial Conduct Authority will regulate seven additional major financial benchmarks in the fixed income, commodity and currency markets. New rules in force. The Investment Industry Regulatory Organization of Canada (IIROC) has published an updated version of its fee model guidance, which includes changes recommended by the industry. The Fee Model Guidelines are a single reference for all IIROC’s fees. The Investor Education Fund will be integrated into the OSC’s Office of the Investor. The combined functions will be rebranded as the Office of Investor Policy, Education and Outreach. Merger in effect. The Federal Reserve Board extended for one month the comment period on a proposed rule that would impose capital surcharges on systemically important U.S. banks. Comments close. The Ontario Securities Commission backed off its plan to more than double the fees charged to new trade repositories that are collecting data on over-the-counter (OTC) derivatives trades. New rules in force. The Investment Industry Regulatory Organization of Canada proposed trading rule changes to confirm that an odd-lot order is not required to receive a better price when trading against a dark order. Comments close. The Ontario Securities Commission delayed derivatives trade reporting requirements that were due at the end of April until July 29, 2016. The OSC wants more time to develop methods for public disclosure of that data. Publication of amendments to improve transparency, including disclosure of 2% decreases in ownership; disclosure when a shareholder’s ownership interest falls below the reporting threshold; and early warning reports. Regulations for the new cooperative securities regulator due to launch next fall won’t be out until the spring, say the participating provinces in the Cooperative Capital Markets Regulatory System (CCMRS). They were originally due Dec. 19.
International regulators from the three major financial sectors, banking, securities and insurance, issued a joint report on recent assessments of credit risk. Comments close on the report. The Basel Committee on Banking Supervision issued proposed disclosure standards for the new ‘net stable funding ratio’ requirement, which was finalized earlier this year. Comments close. New legislation designed to combat cyberbullying comes into force. Entities that possess or control computer data or some types of financial information, including financial institutions, may be compelled to produce certain financial information. The International Organization of Securities Commissions is looking for information about the products and services that rating agencies provide along with traditional, publicly disclosed credit ratings. Five provinces proposed to join three others in harmonizing derivatives trade reporting requirements in Canada to achieve greater transparency. Comment period closes March 24. The Basel Committee proposed revisions to the standardized approach for credit risk under the capital rules, rather than an internal model. Comments close. Trading anti-avoidance, transfer to U.S. The Investment Industry Regulatory Organization of Canada proposes an anti-avoidance measure to limit small, retail orders going south of the border, with certain exceptions. Comments close. Single-stock circuit breakers, adopted after the “flash crash” of 2010 to protect against extreme volatility, will be expanded to all “actively traded” securities. New guidelines from the Investment Industry Regulatory Organization of Canada set out principles and key factors for hearing panels when handing out disciplinary penalties. They take effect Feb. 2 and will apply to all disciplinary and settlement proceedings. New guidance on measures to reduce “flash-crash” risk. Takes effect. New fees are proposed for investment dealers to cover the regulatory costs of overseeing debt markets, as new rules take effect to bolster transparency in that market. Comments close. The Canadian Securities Administrators and the Bank of Canada proposed new policies to adopt international standards for infrastructure functions, such as clearing and settlement. Comments close. The Ontario Securities Commission is adopting proposed new prospectus exemptions for existing shareholders, and promises to act on its other proposed new exemptions, using offering memorandums and crowdfunding, early next year. In force. The Basel Committee on Banking Supervision proposed revisions to rules dealing with securitization to strengthen capital standards. Comments close. The European Securities and Markets Authority published proposals to enhance fairness in secondary markets. A public hearing will be held in Paris on the proposals, which are to be finalized in mid-2015. The Basel Committee on Banking Supervision proposed revisions to trading exposures under the capital adequacy framework, known as Basel III. Comments close. The Canadian Securities Administrators proposed rule amendments to create a streamlined prospectus exemption for rights offerings by reporting issuers. Comments close. The Joint Committee of the European Supervisory Authorities proposed changes on the use of credit ratings by financial intermediaries in the European Union. Comments close. On Nov. 19, the U.S. Securities and Exchange Commission voted to adopt rules to reduce the occurrence of technology issues, and improve the industry’s resilience when these problems do occur. The new rules become effective 60 days after publication in the Federal Register. The U.S. Financial Industry Regulatory Authority will increase scrutiny of the U.S. options market, and enhance surveillance of both equities and options markets. Insurers required to conduct a standardized CLHIA survey with each of their MGA partners at least once a year to ensure that compliance controls are up to standard. Tax convention with the U.K. amended to fight off-shore tax evasion and prevent double taxation in areas of income and capital gains. New provisions come into force. The Investment Industry Regulatory Organization of Canada is re-publishing rules requiring firms to disclose their membership in the self-regulatory organization to clients. The comment period closes on Jan. 12, 2015. The U.S. Securities and Exchange Commission, in a move targeted at the core of derivatives reform, adopted two new sets of rules dealing with reporting and disclosure of swaps data. The rules come into force in 60 days. The Federal Reserve Board announced plans for the closely watched 2015 round of stress tests for major US banks. The 31 banks undergoing reviews must submit their capital plans by Jan. 5, 2015. A joint bulletin from the Mutual Fund Dealers Association and the Financial Services Commission of Ontario clarifies the requirement that reps selling syndicated mortgage securities must also be registered mortgage brokers. Globally active banks, including Big five, must disclose required data during first quarter. New proposals are expected in the first quarter of next year. Industry members suggest that rules for the POS regime could be finalized, with Fund Facts to be delivered to clients within 18 months. The comment period on the consultation draft Provincial Capital Markets Act (PCMA) and Capital Markets Stability Act (CMSA) has been extended to Monday, December 8, as a result of requests from some stakeholders. The International Organization of Securities Commissions seeks comments from fund custodians on new principles to protect “collective investment schemes” (CIS). The initiative arises in the context of rapidly changing industry practices and firm failures, such as Lehman Brothers. Comments due Dec. 10. OSC proposes new fee rules. Comments due. Proposed amendments to OSC fee rules would mean that market participants, such as dealers and fund managers, calculate their participation fees based on their most recent financial year, not a reference year. Comments are due by mid-December. New disclosure requirements designed to encourage greater representation of women on corporate boards and among senior management have been approved in Ontario, and are due to take effect by the end of the year. Public companies will have to start disclosing their efforts to enhance gender diversity for the 2015 proxy season, under rule amendments being adopted by regulators in nine jurisdictions. The recently finalized version is to take effect at the end of the year. The Office of the Superintendent of Financial Institutions is proposing revisions to its guidelines for banks and others for over-the-counter (OTC) derivatives markets. The revisions are out for comment until Nov. 14. IIROC republishes CRM2 proposals. Comments due. CSA has asked IIROC to revise its proposed rules for the client relationship model, phase 2 (CRM2). As a result, IIROC has republished its proposals for a second comment period, ending mid-November. Issues arose over treatment of off-book accounts. Feedback on July 2014 consultation paper due. Banks will begin making a range of information, principally risks, available in their branches over a series of deadlines. The first, in November, deals with collateral charge mortgages. Others, to be phased in later, deal with powers of attorney and joint deposits. An kn-depth knowledge of securities law and regulatory policy is essential for Securities Advisory Committee membership. Applications due by Nov. 28. One to explain its expectations for client complaint handling and dispute resolution; and another focusing on fees. Dealers have an extra 60 days (from Sept. 1 to Oct. 30) to get their paperwork with direct access clients to comply with new rules for direct electronic access. Complaint handling process and OBSI process explained. Applications must be received by Oct. 15. Reviews of applications will begin in November. The International Organization of Securities Commissions has proposed new standards designed to mitigate the risks that arise from over-the-counter (OTC) derivatives that cannot be centrally cleared. Deadline for comments is mid-October. Charitable corporations get new rules Non-profits to apply for a certificate of continuance. Penalties. The Ontario Securities Commission is seeking representatives from dealers, fund managers, and other firms to serve on the second edition of its Registrant Advisory Committee. Applications are due Oct. 24. The European Central Bank will release the results of recent stress testing for 130 of Europe’s banks. The results will cover matters such as asset quality and capital shortfalls in various scenarios. Positions being recruited for include those on its national board of directors, new regional chapters and key organizational and advocacy committees. Deadline for applications. Includes information to plan administrators. Both act and regulations take effect. Implementation complete for new encrypted confidential system, known as Echoworx OneWorld, for communications with its dealer members. Regulators expand call for gender diversity on boards Most other provinces following Ontario lead. Comments close. Hearings were orginally to have been held in June 2014. Amendments to OTC trade reporting rules take effect Changes in cross-border harmonization rules designed to ease regulatory burden for OTC derivatives market participants. Rules to harmonize with those of CSA. Comments close. Regulator to consider feedback on trading rule changes Following close of this comment period, set by CSA in May, the OSC will hold a roundtable in the fall to review proposed changes to market structures, including trading rebates. Proposals include caps on trading fees. Comments close. The rules are aimed at modernizing investment fund regulation. Subject to transition periods. Clients that request a firm’s financials to assess its financial condition. Comment period closes. Triggers changed for informing securities regulators about remedial actions required by the Canadian Public Accountability Board. All registered dealers must be members of OBSI by August 1. Proposals to relax disclosure requirements for start-ups. Comments close. Further changes to the MCCSR, which come into effect January 1, 2015. Comments close on new proposals. Initial draft regulations are due December 19. Provinces are targeting June 30, 2015, to get all of the required legislation passed. Includes plans for ruling on embedded commissions, comments invited. Canadian rules on information collection begin. The Financial Planning Standards Council launches new program for CFPs. New anti-spam law to have big impact on advisors Sweeping federal law prohibiting unsolicited email in force. Strict penalties. Comments due on volatility controls to prevent “fat finger” trades. Comments due on proposals for lower minimum capital requirements. Regulator’s expectations for banks’ internal controls. Comments close. Key CRM 2 rules come into force for IIROC members. Disclosure of performance benchmarks and how they are arrived at. OSC to use data for further attention and oversight. Comment period extended from June 23 to July 23. Market participants encouraged to participate. Survey closes. Regulators want issuers with a connection to NB to report to them, to track capital raising efforts. Comments close. Affects wills and estates, investing, pension funds. Comments close. Comments due on issues such as managing conflicts of interest. Nova Scotia Securities Commission hosting public information sessions on crowdfunding proposals at NS community colleges. Comments due on guidelines for common underwriting due diligence standards. Delivery of Fund Facts to investors must occur two days after purchase. Deadline for comments on the proposals. Comment closes for proposed exemptions; including OMs and crowdfunding. Comment period closes for exemptions to restrictions on crowdfunding for startups. Comment period closes on best practices, including independent oversight, to better align with recent reforms. Various technical changes. Comments close. OSFI published its draft guidelines for the new requirements. Comments close. Non-profits to apply for a certificate of continuance. Penalties. The Canada Revenue Agency said it will continue its practice of not processing tax returns that claim credits under gifting tax shelters until it first audits the shelter. The CSA issued a notice that answers some of the most common questions regarding new cost and performance reporting and account statement requirements under CRM 2. During tax season, tax officials warn taxpayers about phishing attempts. The CRA launched cross-country consultations on a proposed program to improve tax compliance by small corporations, the Registration of Tax Preparers Program RTPP. The consultations take place across Canada. The CRA will accept input on the proposals until May. CSA:Final amendments to new mutual fund rules. The rules are aimed at modernizing investment fund regulation. They come into force, subject to transition periods.